thanks to PinkyParadise.com for sponsoring this Giveaway! 1. Please leave a comment in this post and say "I want to try"
Also some lenses to review! I would love to see more of your video tutorials. I want to try! 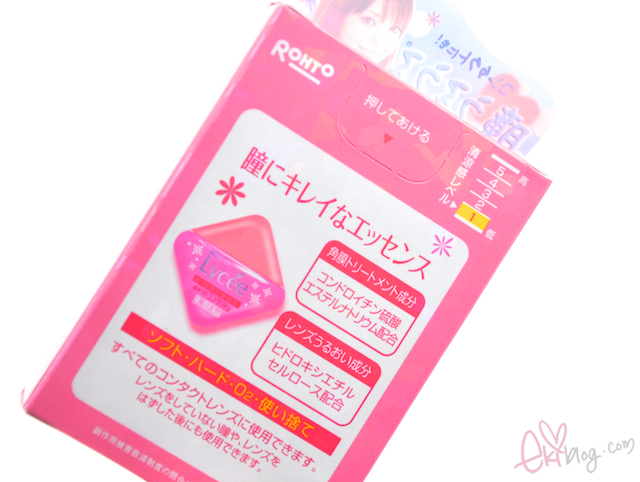 =^_^= I've wanted to try Rohto eyedrops for a while. Are these the ones that burn or are icy, or are they just soothing? My suggestion for your blog is to feel free to take more everyday photos! I love your amazing setup with the circle lamp and everything, but I am also curious about your everyday looks and outfits and your works in progress for ekilove! Your blog is already lovely as it is but it would be nice to see more reviews for makeup and circle lenses, as well as v-logs. I would love to see more tutorials and product reviews! I bought the dermalogica microexfoliant because of your review/hg products post, and I love it! My feedback is could you give some more japanese magz scans like: Scawaii, VIVI, etc. My feedback would be I love the way you write your blog now :D The reviews you gave are awesome and keep it up! I want to see more gyaru inspired tutorials and more japanese makeup reviews! I would really like to see more outfit of the day posts..I really like your style! I would like to see more OOTD post's. I would like to see more outfit posts and more hair colour posts please! I'd really like to see more food recipes :* and Make up tutorials. I think you should just post more often about anything! Your content doesn't need to be perfect, we love you for who you are :) I love your gorgeous makeup tutorials. Food recipes are also good! oyeah I would like to try! The eye drops look so amazing! I've always wanted to try them but they've been a bit too expensive in my opinion. And I've love to see more face of the day, HG and maybe mask reviews? I already love all the magazine scans so keep those up (they're SO expensive to buy them here in Canada)!! Hey Eki, this is my first time commenting here. I would like to try the eye drop! I check your blog and tweets often, and I always like the contents of your blog. However, I would like to see more brushes reviews and such, related to make up. I also hope you can make more make up tutorial videos, really enjoyed the fiberwig one! I would love to see DIY's in your blog or cute tutorials since you're such a creative person! I also can't wait to see your lens review *O* I want to collect all of the bambi series!! So many good reviews so I want to try these!! 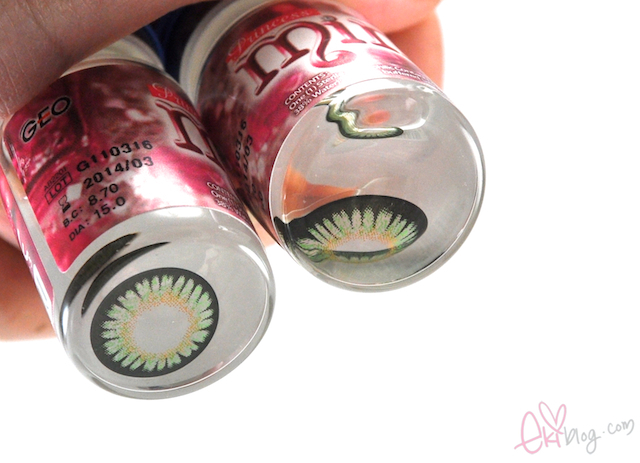 Omg.. i think I need this because I use circle lenses and after awhile I needed drops to keep them from drying. Your blog is so lovely and you are a some kind of "idol blogger" for me since I read your blog the first time! Maybe you should do more of your great tutorials! I would like to see them! I really like Japanese culture and would like to see more Japanese styles of skincare. Like the steps you have in your regular skincare. I also love how the Japanese do their eyebrows, so that'll be cool too!! thank you!! I want to try ^^. I would like to see more affordable product reviews. I loved your tutorials so I would like to see more of them. Hullo eki~ i've been visiting your blog for a while now ^^ and i must say, i really appreciate your mag scan posts! so thank you for all the effort. do more natural look tutorial please~ i'm a newbie & want to enchance my look with makeup but still need some inspiration. I would love to see more hair care (also hair dye) and make up tutorials. I'd love to see more product reviews on ekiblog, especially make-up & skincare type! I would like to see more of your drawings in here! I LOVED the Tsubasa one, and it inspired me to draw more myself! You are really good at drawing, and so so inspiring! thank you for the giveaway ^^ i want to try! What i want to see is more reviews!! I love all the ones you made soo far, and your photographs!! Just wanted to thank you once again for al the love you give through out your blog ;) and all the little tips and reviews you give to us ! Keep up the awsome job !! And like you asked, I would love to see more hair does, not just tutorials and so on :) but stuff like ideas you had and all. i suggest Fashion outfits of the day, different fashion styles in japan tutorials and info, also more beauty prods from japan that is unique and not avail in other countries. your blog is already beautiful and your pictures are great! all info is also very much helpful desu..fight-o! I've been browsing your blog for a year now, and although I follow others, to be honest, your blog stands out. The layout is perfect, you have good quality photos, you update quite often which is very good because you have a lot of followers checking up on your site :) what I love about your blog is that you provide so much information on everything you post! Others just review the product so plainly and fail to elaborate for the viewers.. I'm always like, "wohhhhhh that is sooo cool i soooo wanna try it!!!" haha. whatever you choose to do, just stay the way eki is ^^!! Your blog is outstanding. As for what I want to see more of... I wouldnt know! Youre blog content is spot on! I want to try! Thanks for this giveaway. It'd be great to see more outfit and hair posts, since your hair always looks so perfect and your clothing must be really cute! I would love to see more tutorials on ekiblog! I would love to see some outfit posts. I would like to try ! I would absolutely love to see some recreations of things you do on set of films. You could do really useful tips everyone could benefit from to really outrageous fun makeup that you've done on set. I think that would be really awesome, I know it'd be something that'll really be of interest to me. I really love your site and all that you do. Thank you for this giveaway. I've heard about this eyedrop and I just can't fathom the thought of tasting through your eye. I am really excited for this! 1. "I want to try"
1. I want to try! I'd some/more fashion-related stuff and make-up tutorials, too (even just tips). I like to see more beauty reviews and personal blog to get to know u better but not in a creepy way lol! I would like to see more beauty tutorials, like for your hair/make-up, how you care for your skin! Your blog is really awesome!! I would like to see more make-up tutorials. I love how your make up is so natural and wearable. I want to try - since you speak so highly of them who wouldn't?! I would like to see more reviews of Asian skin care items, like the My Beauty Diary Masks. I would like to see more reviews on Asian brand makeups. Your reviews got me interested so of course "I want to try" too! I would like you see your current skincare routine. I might have missed it if you've posted about it before. oh that waterdrops are sooo helpful!! I would love to see more makeup tutorials, or outfit of the day! I would love to see more about cosmetic reviews and videos ~!! Nevertheless~~ Ninja too! !>"< because I LOVE CATS!! I love your tutorials and random updates and would like to see more of that. Your food tutorials are also awesome and easy to follow. I would like to see more posts about Asian skincare because I have no idea what to try or where to start! More cooking tutorials please because I am very noob at cooking! Your food tutorials are very simple and easy to follow. well...i just find your blog because search about palty hair dye..
then i read your other posting... awesomeeeee....i follow you! I actually tried the ones from Wal-Mart and they're pretty good! I've got my whole family addicted to these Rohto drops instead of Visine! However, I haven't gotten my hands on the Lycee ones yet...so I hope I win! I do wish to see some outfits of the day. I like your blog very much ! I'd like to see more make up reviews and maybe daily skin care routine ! I think your blog is already great! But of course, there is always a place for improvement. ^_^ I think you could do more tutorials! I have really enjoyed your previous ones and tried a lot of times your make up tips on myself. ^^ They worked great! Also I would love if you could post more reviews of circle lenses! 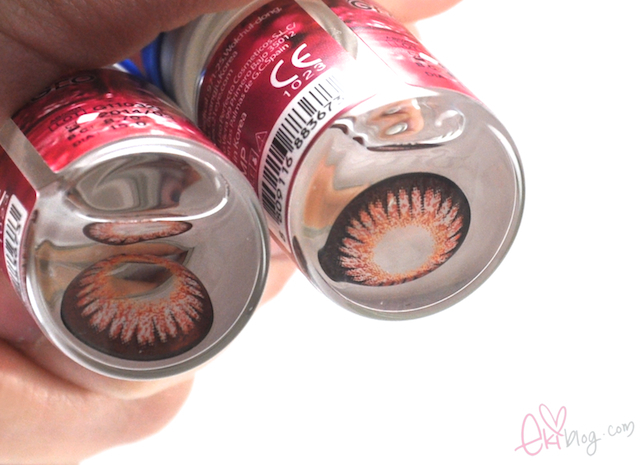 ^^ They are really helpful when ordering your very own pair of circle lenses online! i love FOTDs and tutorials from you. i also buy stuff you review because i trust your opinion. =) i would like to see more pictures on your blog and perhaps a tutorial or some tricks on how to take good pictures? 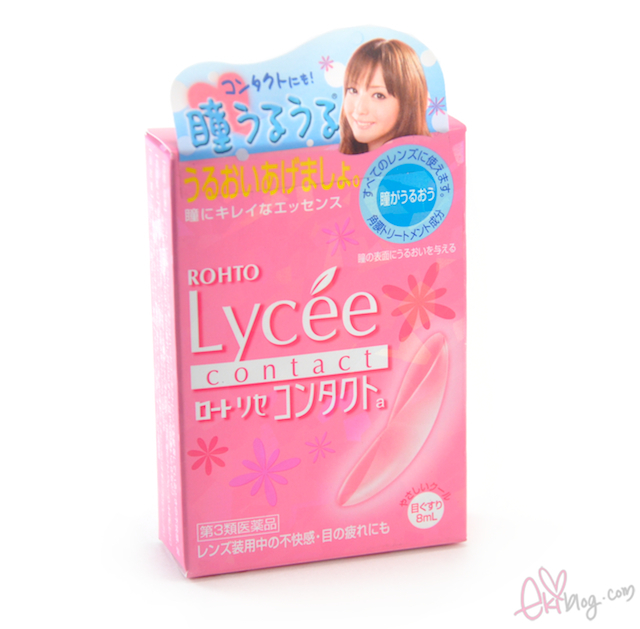 P.s can you use these eye drops while you have circle lenses on? I want to try! Especially since I often use contact lenses. I'll like to see more tutorials on your lovely LOTDs, your awesome drawings, as well as haul posts. I'd like to see more skin care related posts. You have perfect skin! More makeup tutorials please! I really enjoyed the last one you did with the new Dolly Wink e/s quad. Also more product reviews would be nice too! I'd love to see more reviews on skincare/face products. You're skin is so flawless, I'd love to find out what you use to maintain your skin's condition! Hmm lets see...I love your product reviews because you're really in depth, honest, & have the most amazing pics! I think I would like to see more other topics esp your artwork (which is AMAZING), your cooking, & maybe some random posts about your day if you wanted to share something interesting that happened. Also I would really ♡ to see more videos from you!!! I love reading your blog, no matter what the topic. I love reading your blog--it's so sweet, and your photography is lovely. Perhaps some more food posts? I would love to see some OOTD's and also maybe some of the things you like to do? it would be great if you made more gyaru-type makeup tutorials, like a more wearable, daily type look, or a simple school look for your younger fans (: (: also, more lens reviews! geo has come out w/ a lot more interesting lenses .. it'd be great to see them! I would like to see more product reviews and tutorial on more natural school looks. I would like to see more natural tutorials, without dolleyes-contacts or fake lashes and so on. Maybe a pretty boring thing to suggest but it would really help those days when u just don't have the time for putting on all the extra thing. I would like to see more tutorials and fashion hauls. I would like to see more cosmetic haul. Especially product from Japan. Besides, could do some fashion haul! I would like to try the Lycee eyedrops. I love your blog and I would like to see more hair dye reviews, particularly for dark -> lighter browns. Wow, there are so many responses! I doubt I will be lucky but I definitely want to try! I'd love to see outfits, more tutorials, food tips (I loved it when you did the green tea latte post!) but I do think your blog is great as it is Eki. I'd love to see more hauls and reviews on makeup and skincare! I want to see more skincare tips and skin care products that worked for your skin! Also, those yummy yet simple to do japanese food recipes! ~I hope to see more step by step make up tutorials and reviews of a variety of products that have different uses and products of different quality and making comparisons (like drug store to slightly more well known brand). 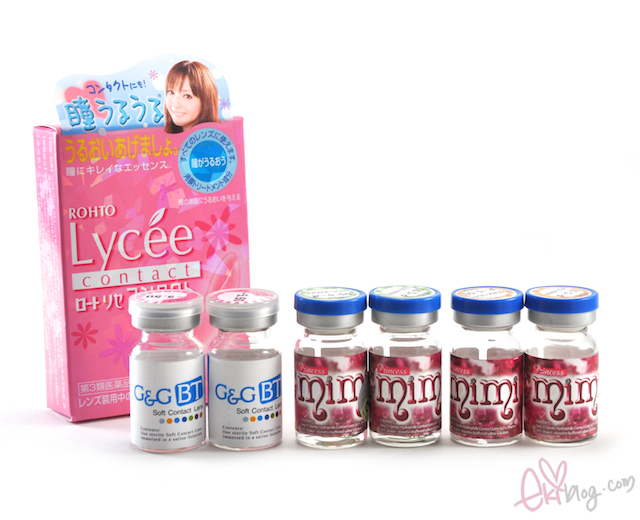 ~thanks for the giveaway ntm what a coincidence i really wanted to try the rhoto lychee line of eye drop liquids. I would also love to see more cooking tutorials and maybe some outfit look-of-the-days. i like to see make up tutorials and ur drawings! I would like to see more reviews and tutorial! They have it here in new york but since its the only store that carries it, its very expensive! I would looooooove to see more hair tutorials! I miss your drawings and all the artsy stuff.